A combination therapy that is rapidly increasing in popularity. Meso-Peel Therapy combines microneedling and chemical peels in such a way as to produce profound results. My skin was dull and I had some areas of discoloration. The results were amazing after the first two treatments and my skin is still improving! I have fewer fine lines and my skin looks much younger. I’m so pleased with the results of this treatment I can’t stop telling people! Improving skin from above and below. The look of skin depends greatly on two factors, the condition of the surface and the amount and condition of the collagen beneath the surface. Meso-Peel Therapy is a profoundly effective programme that combines both treatments to stimulate the growth of new collagen and elastin and reveal a newer, healthier, glowing complexion. Microneedling pricks the dermis, beneath the surface of the skin and triggers the wound-response. The skin reacts as if it has been damaged and produces new collagen and elastin, this is known as Collagen Induction Therapy. This thickens and levels the skin reducing wrinkles and lines. As the wound response works its way to the surface over the next four weeks or so discoloration is reduced and tones are evened. Whilst chemical peels also stimulate new collagen growth their most profound effect is on the actual surface layer of the skin. Peels remove the topmost layer of dead cells revealing the newer, younger-looking cells below. We use needle-depths and peel-strengths that, by regulation, may only be carried out by a suitably qualified medical professional. The combination of these two therapies is producing some remarkable results with clients of all ages from around thirty upwards. A Meso-Peel programme typically involves microneedling and peels alternating two weeks apart. This means one microneedling session and one peel per month. For Dermapen Microneedling specific questions see the FAQs on this page. For Skin Peel specific questions see the FAQs on this page. Meso-Peel Therapy is a combination of Dermapen Microneedling and Chemical Peel treatments that are timed and alternated to work together to produce the maximum benefits. A chemical peel’s primary purpose is to remove dead cells from the surface of the skin and reveal a newer, younger-looking complexion. Its secondary function is as a Collagen Induction Therapy which triggers the growth of new collagen. 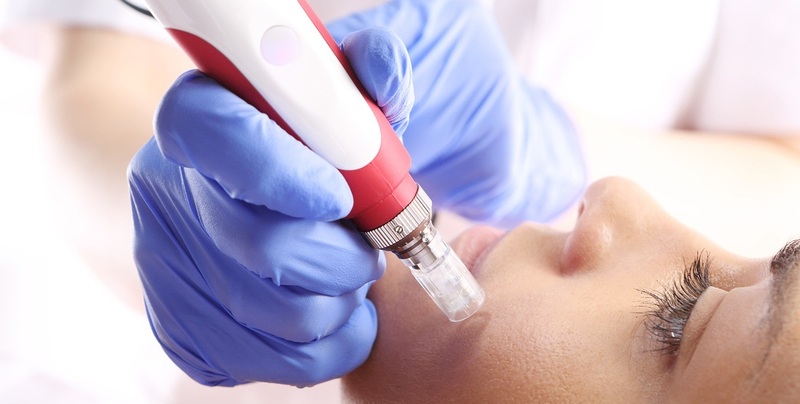 Dermapen Microneedling’s primary function is as a Collagen Induction Therapy which triggers the skin’s wound response and the production of new collagen and elastin. A secondary benefit is that it causes dead cells to shed from the surface of the skin. Brought together in a certain way these treatments combine to have a profound effect on the health and youthfulness of both the dermis and epidermis. How will Meso-Peel therapy affect my skin? Stimulate collagen which thickens skin and evens out wrinkles. Remove the dead upper layer of the skin revealing a fresher, younger-looking complexion. What is the usual timing schedule? 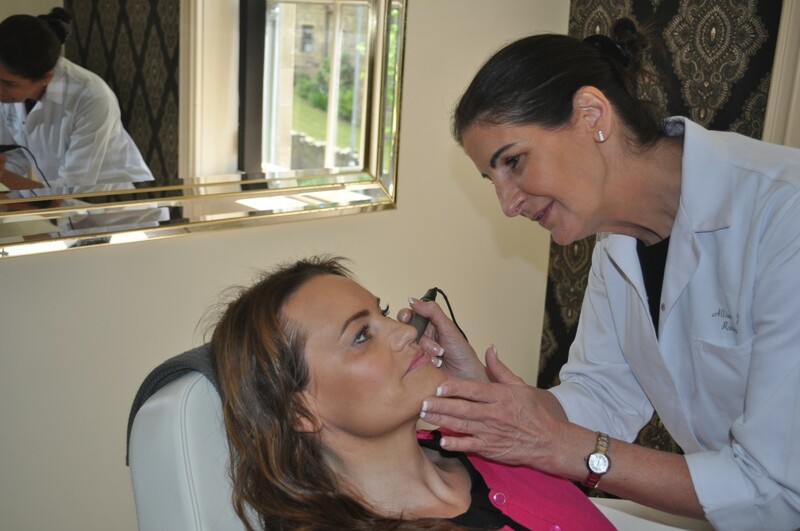 For best results we usually recommend that treatments be taken two weeks apart. That is one microneedling session and one peel per month. With these two treatments we aim to achieve two consecutive effects: The ongoing removal of dead cells from the surface of the skin and the ongoing production of new collagen and elastin below the surface. Obviously it’s possible to do too much of one or the other but, by timing and alternating two treatments that have opposite primary and secondary effects, we can keep the skin in its healthiest and youngest-looking condition. How much does Meso-Peel Therapy cost?